This profile is part of a three-part series, to be read in order. Luke Cage (Netflix version) – Origins ‘n’ J. Jones. 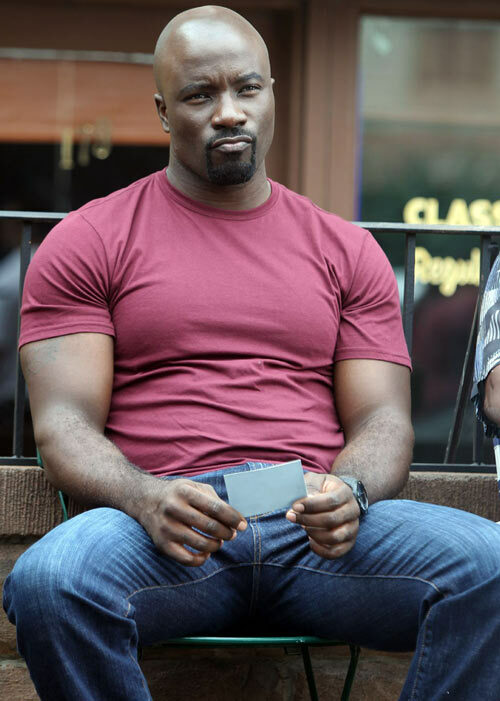 Luke Cage (Netflix version) – Hero of Harlem. 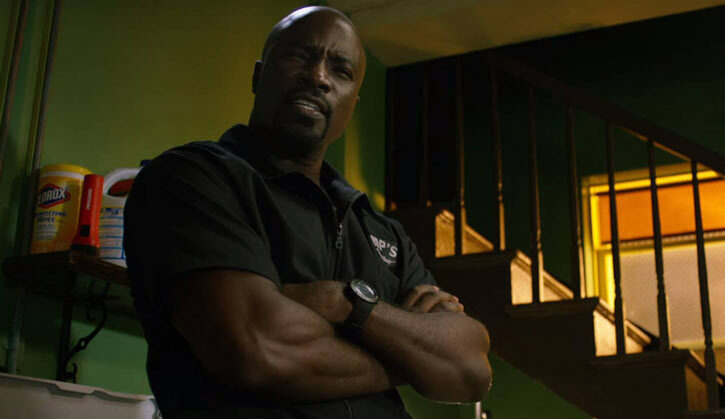 Luke Cage (Netflix version) – Quotes and game stats (this here profile). Whoah, almost forgot to put that in. Sorry y’all. Also comes with extensive footage of the series. The book Cage’s briefly seen reading is Little Green . Skin Armor: See the BULLETPROOF section below. 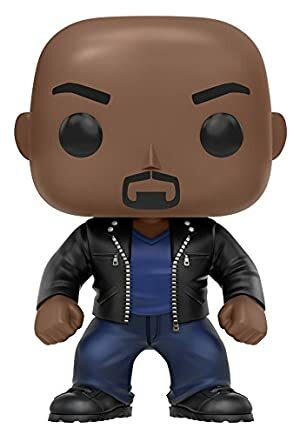 Area Knowledge (Harlem of New York City), Attractive, Expertise (African-American history), Local Hero (Harlem), Schtick (Conditional Soaking (anything covered by his Skin Armor), Rubber Mallet). Misty Knight (Low early, but High at the end), Claire Temple (Low early, but High at the end), Street (High), Jessica Jones (low), Method Man (high). Altered Anatomy, Arch Enemy (Diamondback), Bullet Proof Syndrome (serious), MIA (protecting the innocent), Public ID. He drove a motorcycle during the Jessica Jones series. This Drawback is usually reserved for characters with wildly different physiology that have organs in completely different areas of the body such as aliens. While Cage’s organs are all in the same place like a normal human being he still suffers from the same Drawback stat wise as his hardened skin makes most normal medical procedures far more difficult. Claire Temple later develops a Familiarity or Expertise later in the series after careful research to help offset this. About halfway through the series, shortly after Pop’s death cage gains both Mistrust and Local Hero (Harlem). LH comes after he starts doing good deeds in his hood. It is further cemented when he foiled a convenience store robbery and met Method Man , who then went on a popular radio station to publically support Cage and even go as far as to wright a song about him entitled Bulletproof Love. Mistrust is gained at roughly the same time as Mariah Dillard does everything in her power to drag his reputation through the mud. It’s also worth noting that outside Harlem he is considered a very divisive and controversial figure. Trish Walker publically supported him on her famous talk show, but public opinion is generally all over the place. Cage is a former marine and police officer. So he can be assumed to have certain skills that aren’t demonstrated in the series. The most glaring problem with this is that when working with Jessica Jones he seemed completely out of depth with even basic detective work. A character such as the Punisher, a former elite marine who’s main focus on just how skilled he is most certainly had more Skills than were demonstrated. So if he manifested Skills not demonstrated in Season 2 Daredevil such as Cartography or Water Vehicles, then fans are unlikely to question it. 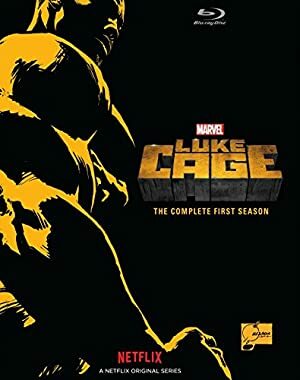 But for a character like Cage who’s main is firmly on his Powers him suddenly demonstrating new skills might raise a lot of eyebrows and sorely test the suspension of disbelief. 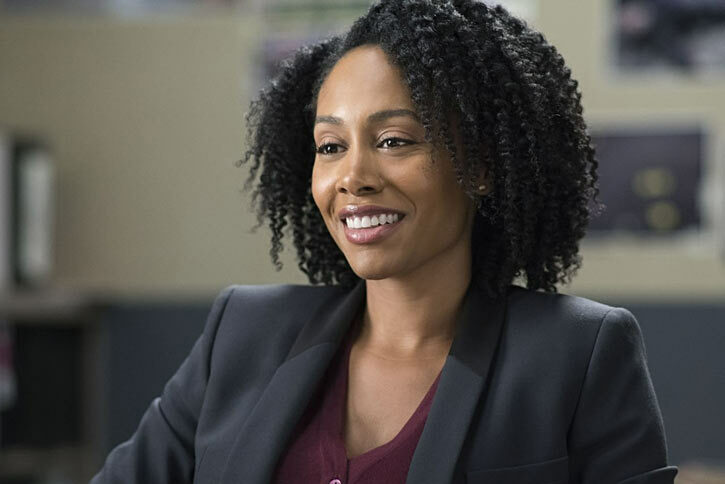 Misty Knight. Click for a larger version. While Luke certainly doesn’t carry these they definitely must be mentioned as they are his Achilles’ heel. They were developed by Hammer Tech and perhaps another organization. Not much more is known about the origin of these special bullets – or why Diamonback had seemingly exclusive access to them. Their initial damage yield is also surprisingly low at a mere EV 01. They’ll pass through glass, but not much else. In one of the club fight scenes a bullet couldn’t even penetrate a regular metal chair. What makes them so dangerous — particularly to Luke — is they will stick to anything they hit and then drill into and then explode on the next round. The EV is standard for the firearm they are shot from, but these rounds add Sharpness: 06 and the High Energy Transfer Bonus. Against normal human target this tends to be particularly gory and renders forensic gathering of evidence difficult (Bloody Mess Schtick). [BODY 04, EV 01 initially and in the next round do the same damage as per the gun they’re fired out of the next round with Sharpness 06 Bonus: High Energy Transfer and Bloody Mess Schtick Limitation: Grenade Drawback]. Cage is stated to have superhuman strength. However, there is no indication of him lifting or carrying anything that couldn’t be handled with STR 06. However, he crushes handguns without any problems, so I went with a 07 just to cover all bases. It seems that his hardened skin grants him to use his strength to destroyed barriers more effectively than his strength would normally allow. Hence the EV: 09. The main scene that seems to call this into question is when he was buried under several tons of rubble. Rather than dig or do some heavy lifting he started punching his way out. Then again I could be over thinking this and that was merely the director using his artistic license to cinematographically draw a parallel with him busting out of prison. It should also be noted that Cage could easily kill even elite thugs. He is extremely measured in his violence. When engaging with normal thugs he typically doesn’t use more than an EV of 6. This coupled with his Rubber Mallet Schtick (below) ensures that he never engages in killing combat. People frequently hurt themselves whilst hitting Cage. Punching him is not very different from punching a block of steel. While there are many high-RV people out there who have to be punched carefully, people breaking melee weapons, bones and cartilage when they attack Cage is a signature motif. Most notably in the restaurant fight where one thug shatters his hand on Cage’s jaw and the next thug breaks a club over his arm. To keep things simple, people attacking Cage without being aware of how hard he is (or who momentarily forget about it) will damage the striking surface. Match their STR +1CS against the RV of the striking surface to see how many RAPs are taken (LDD and RV boost via HPs are allowed). For instance, if a STR 03 BODY 03 street thug punches Cage, that’s an EV in the 5-6 column against his RV of 03, or 2 RAPs. And thus a street thug with a broken hand unless he has HPs to spend. The same would likely hold true with an ordinary street knife or club, which tend to have a BODY of about 02 or 03 as well. However if the opponent is a more skilled fighter (AV of 4 or 5) and aware of his hardened skin then they are able to ignore this. Diamondback was able to run at Cage and punch him in the face as well as strike him with street level melee weapons without any problems. Highly skilled fighters (AV 6 and above) are able to ignore this completely even if they aren’t aware of his condition. Iron Fist hits Cage square in the chest with a flat palm strike. And while he’s surprised that Cage isn’t hurt he certainly didn’t hurt his hand either. This would likely hold true with Daredevil and other skilled fighters of that caliber. Things and people who have a RV of 07 or more against Physical damage ignore that rule. They’re hard enough to hit Cage without consequences. Luke Cage sports an impressive RV of 11. This makes him virtually immune to street and military level weaponry. In a gritty street level setting this makes him practically unbeatable. However note that his RV is 11 and his BODY is but 06. That gives him a kind of glass hammer effect where he can shrug off plenty of damage, but if he is somehow hurt in an attack then the damage is significant. For these reasons he generally saves all his HP for LDD. He is still vulnerable to gas attacks, as demonstrated when Stick knocked him out with some sort of incense. Another suggestion to beat Cage would be to drown him. He shows no evidence of Density Increase and was able to swim several miles from Seagate to land, so this likely wouldn’t work. His Skin Armor only pertains to his skin. It has been demonstrated that this doesn’t apply to his eyes and likely the inside of his mouth. While technical Skin Armor doesn’t protect again energy attacks and the like it seems reasonable to assume that it would protect him against any sort of kinetic or concussive force. With Iron Fist and Jessica Jones. Click for a larger version. The Judas bullets inside him were nearly fatal. They were gradually killing him as his insides are for the most part pretty much human. Furthermore, his Regeneration wound up working against him. It made it too difficult to remove the bullets and was increasing the strain on his body. If he is ever wounded in such a way he will gradually lose BODY points at a rate of about one per day until his eventual demise. Him having his powers negated so he could be safely operated on required a dangerous and highly specialized procedure. So he doesn’t really have the Power Loss Drawback. Also if he ever receives any bullet wounds then his Skin Armor becomes Partial (Jacket level) if a foe uses called shots to specifically target his wounds. This is what Diamondback did in their theatre fight scene. Lastly for reasons unknown pressing a gun muzzle directly up against his skin has a much greater chance of actually hurting him as his Skin Armor only seems about half as effective. The 4 APs become 2. The most obvious example of this was when Jessica Jones blasted him with a shotgun under the chin, but here were two other examples. When breaking up the scuffle in the Chinese restaurant he had a gun go off against his palm and later he shot himself in the stomach to demonstrate his invulnerability to a teenager. In both instances Cage winced a bit and the shots left a black mark on his skin. While neither shot did any damage based on his reaction it seemed like both shots were within a column shift or two from doing actual damage meaning that while he wasn’t physically hurt he actually briefly felt a bit of pain. There are a couple of scenes where shooting Cage at close range causes bullets to ricochet off of him. The projectiles then hit nearby things such as walls and furniture. Or punching bags that then start leaking sand. At no point in time does it actually injure anyone around him, so this is most likely a cosmetic effect. However, it does look impressive and likely grants him a +1CS AV bonus on his next intimidation attempt. Cage’s clothing is almost perpetually full of holes given the frequency with which he is shot. Early on this would give any police looking for him a +1CS on any perception attempt to recognize him or pick him out of a crowd. However, this is quickly negated once support for Cage swells around Harlem. Holed hoodies become the latest fashion trend to show support for Cage. 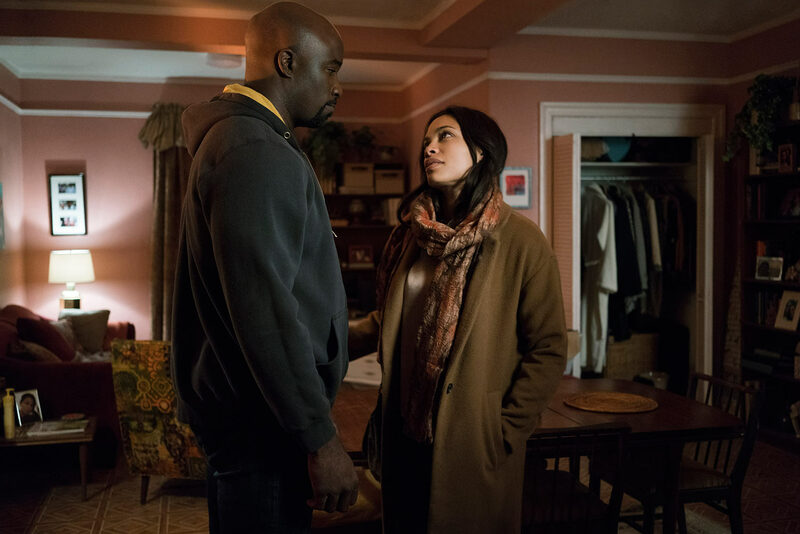 With Claire Temple. Click for a larger version. 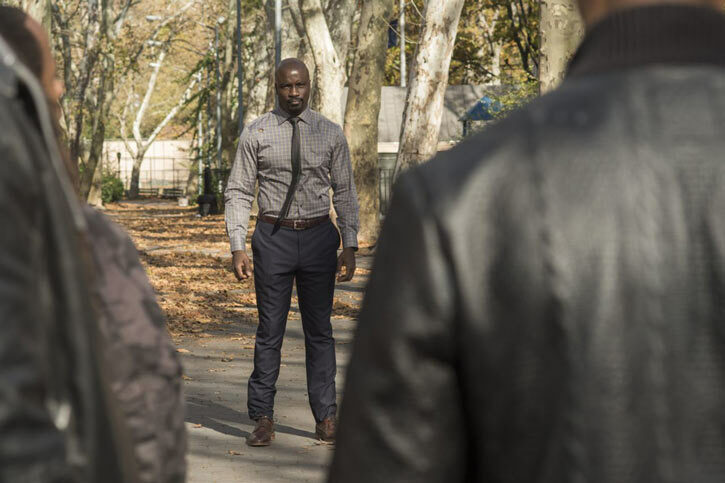 The setting in the Luke Cage series is pretty key and seems pretty exclusive to Cage whilst the rest of the Netflix heroes tend to share a patch in Hell’s Kitchen. Harlem is a tightly knit, predominantly African-American area of New York City. 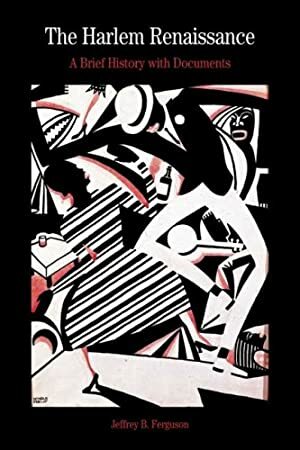 In the series, it seems to be constantly balanced upon a knife’s edge. The showdown between Cage and Cottonmouth and Diamondback was referred to as “a fight for Harlem’s soul” on several occasions. The area is supposed to represent a symbol of hope for African-Americans. But at the same time the area is considered dangerous and the crime rate seems high, though not to Robocop-like extremes. There seems to be a giant tug of war going in with several factions. One is upstanding citizens such as Pop who want to make the area a better place. Others are greedy criminals who want to line their pockets. The good citizens certainly outnumber the criminals, but the criminals wield more power through violence, intimidation, and of course money. The main source of contention seems to be how the youth of the area get to grow up and earn a living. The character that actually may have embodied this the most was Mama Mabel, Mariah Dillard’s mother. While she was a ruthless crime lord, she also came through with numerous acts of charity. Furthermore, she had her thugs strongly discourage certain types of crime that she found unacceptable – such as domestic violence. There are also a lot of shades of gray in the spectrum. Pop, for all the good he did the community, had a sordid criminal past. Cottonmouth was a notable patron of the musical arts, despite his nefarious criminal activity. Mariah Dillard’s social programs and proposal did manage to do some real good for the community. Even if the primary implementation of such programs was to win the trust of the people and further her own political career. This all comes to head at the finale of the series symbolically in the clash between Cage and Diamondback. These represent the best and worst the area has to offer. And the citizens of Harlem are clearly cheering Cage on, wanting a change for the better. However, due to the nature and the dynamics of Harlem, Diamondback’s defeat will likely leave a power void to be filled by another criminal element in the future. Quite possibly Mariah Dillard. Before he gained his Powers his Physically Attributes were 04’s across the board and he didn’t have any Schticks. During the Jessica Jones series he was a lot more financially stable. Luke likely had a Wealth of 04 or 05. And the backrooms in Luke’s Bar provided a Confined HQ. During his own series he had the Drawback Dark Secret (escaped ex-con). But this issue has been resolved as he is now a free man. He also seemed to gain more HP after his Defenders adventures. His HP is now at 45, but it was around 35 during the course of his own series. This particular Schtick is meant for characters with superhuman strength that regularly engage with thugs and much weaker characters. Characters with this schtick are able to easily knock them out without causing any actual killing combat due to knock back. If the attack receives double RAPs of the targets Body condition then attack won’t cause any knock back and the target simply drops where they are. This is likely to be a sort of knockout chop. If the attack doesn’t receive double RAPs then the knockback rules apply as normal with a -2 on knockback distance. If the target hits a wall or other surface, which would normally be considered killing combat, then it is still treated as bashing damage. If the target hits a dangerous surface such as barbwire then this Schtick is negated and the attack will be considered killing combat. By Dr. Peter S. Piispanen and Tom Eiler. 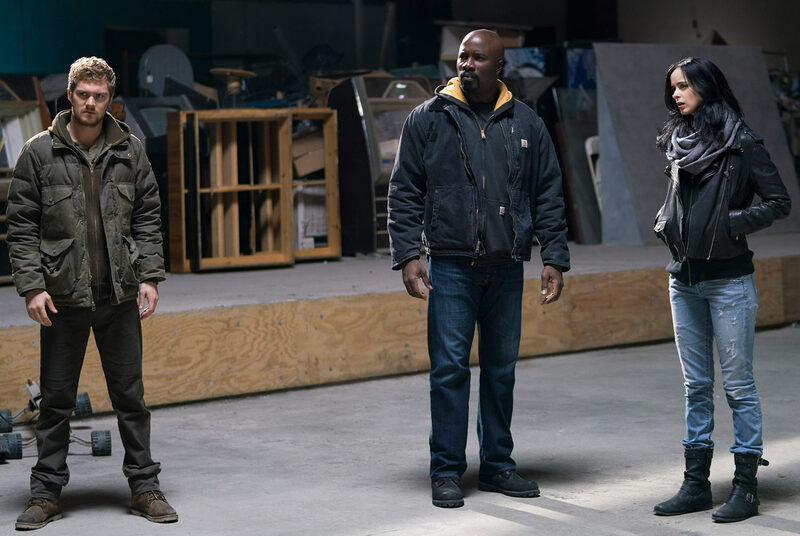 Source of Character: Jessica Jones and Luke Cage TV-series Season 1 and Defenders Season 1. Helper(s): Sébastien Andrivet, Pufnstuff, drphibes, Pawsplay, Darci, Alfonso Jermaine Turnage, Roy Cowan, Mike Davis, Adam Fuqua. Writeup completed on November 7th, 2017.